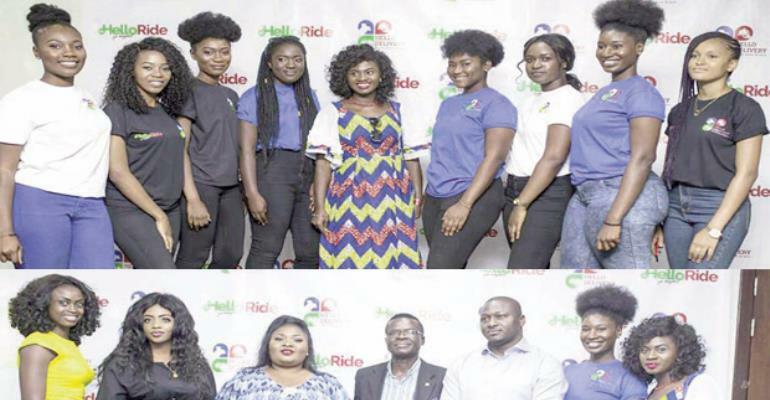 Dubai-based Africent Groups has launched operations in Ghana with the introduction of an online transportation, food and delivery service app called Hellodelivery & Helloride. The app is the first multi-featured app service to come to Ghana and it had been integrated with Google map and advanced global payment security encryptions to ensure safety for users. It is currently available on IOS on IPhone and Google play store on Android. It was launched in Accra on December 29, 2017 at the Golden Tulip Hotel at a ceremony which attracted some of the country's big celebrities who endorsed the apps for Ghanaians. They were in the persons of celebrated actress Martha Ankomah, Belinda Dzattah, Jacinta Ocansey, Samira Adams, Lilian Larkai, among others, as well as Comedian DKB, who was the MC. “I have tried the service and it is amazing. Their food delivery was that fast. I am recommending it to everyone. People should download Hellodelivery & Helloride and try it,” Belinda Dzattah said at the ceremony. The app is well-established with a multi-features app development, offering online ride hailing services, online food and delivery services, including groceries and laundry online ordering services. “Helloride has Africa and Ghanaians in it first priority to offer great, safe and efficient services. We have put together great offer and better benefit for our partners and vendors in accessing better margin and wider sales opportunities,” Africent Group Founder Razaq Lawal J indicated. The Africent Group has also been operating in other African countries like Nigeria aside Ghana. It is a diversified company that engages in value- added services, online advertising and other marketing and business development services. Its value-added services involve online and mobile apps services, instant messaging and chat services, e-commerce platform service operations and community value-added services. The HelloDelivery & HelloRide are its twin online providers of competitive merchandise delivery and personal transport solution for African markets and its communities. To sign up as partner/ driver, vendor, restaurant, grocery store and laundry, please visit www.hellodelivery.org .